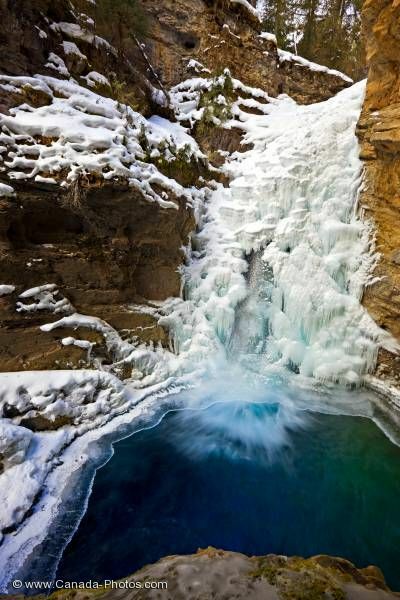 Partially frozen Lower Falls of the Johnston Creek during winter surrounded by ice and snow formations, Johnston Canyon, Banff National Park, Canadian Rocky Mountains, Alberta, Canada. Banff National Park forms part of the Canadian Rocky Mountain Parks UNESCO World Heritage Site. Please let me show you more of my pictures from my "photo gallery: Alberta Scenery". Pictures from photo gallery "Alberta Scenery"